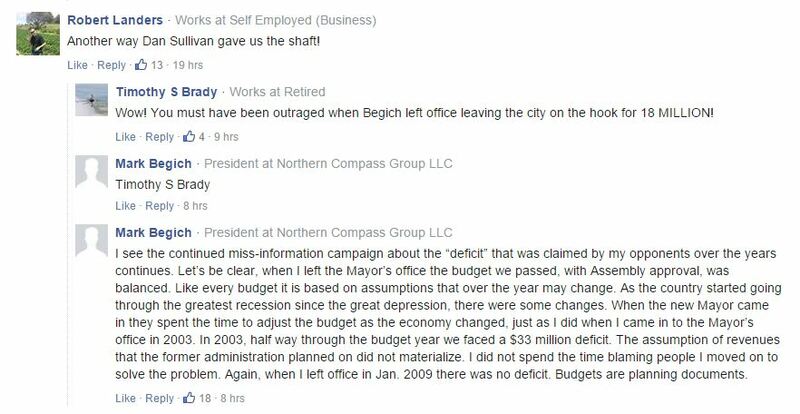 Online comments following an Alaska Dispatch News story about the Muni’s handling of Anchorage’s Centennial prompted both former Mayor Sullivan and former Mayor/US Senator Mark Begich to respond with defenses of their administrations. 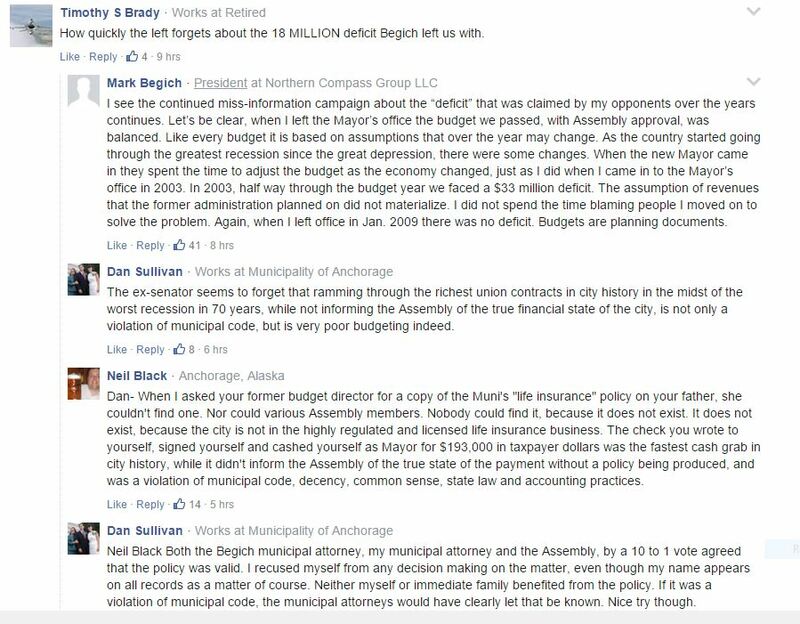 1 Comment on "Former Mayors Begich and Sullivan Exchange Online Barbs"
So this is to be characterized as nothing but a squabble between Democrats and Republicans? Reminds me of the cultural apologist treatment of the Port Project. So again this has nothing to do with apparently criminal behavior and is actually nothing of concern? Both these political parties are enjoying this “it’s just politics” treatment of these issues.